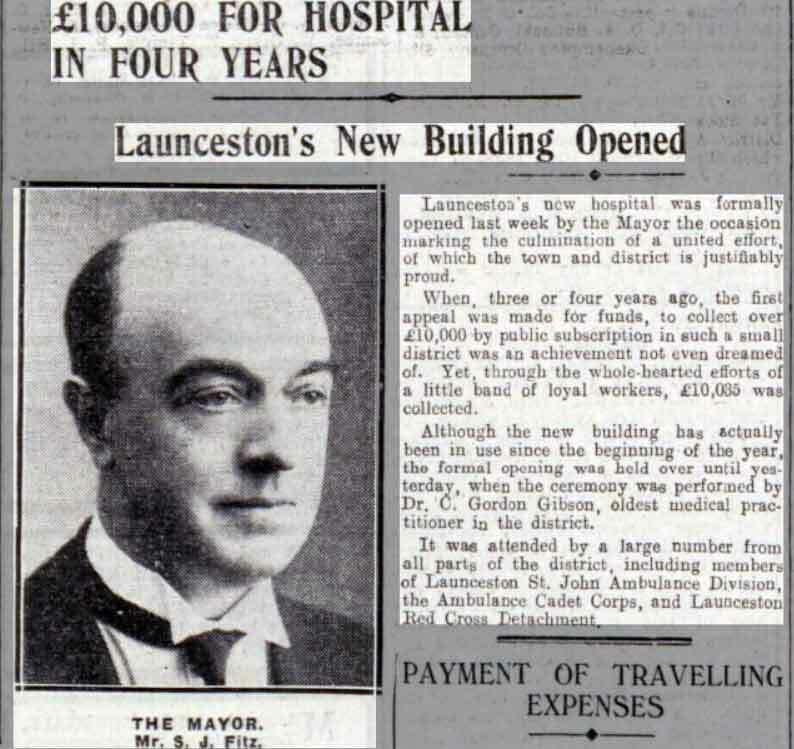 Evolution of Launceston's Healthcare | Launceston Then! Mr Cudlip and Mr Rowe are also listed as members of the Corporation: Mr John Cudlip Mayor of the Borough in 1790-1; 1798-9; and 1807-8. Mr William Rowe, Mayor in 1772-3; 1782/3; 1796-7; 1806-7. Mr Coryndon Rowe, surgeon, married Ann Carpenter on 15th June, 1795, and lived at Docacre (Dockacre). Dr Rowe was a subaltern in the Launceston Voluntary Cavalry, surgeon of Launceston, and Mayor in 1792, 1797, 1810, 1821, and again in 1829; he was also a chief officer of the Launceston Savings Bank which opened in 1818. Coryndon and Ann were blessed with two children; a daughter who wed Mr Charles Gurney, solicitor, (of Lifton) landowner, Town Clerk to Launceston Town Council, holder of many offices in the county as well as in town for many years; and a son, who was baptised on 28 July, 1801 at Launceston, with the names of William (paternal grandfather) and Carpenter (maternal grandfather) and was educated at Dr Cope’s Grammar School. His further education was at Westminster School followed by a distinguished career at Balliol College, Oxford. In 1830 William was called to the Bar at the Inner Temple, and became a special pleader on the Western Circuit, was made magistrate and Deputy Lieutenant of Cornwall in 1849, and in 1850 was created a Queen’s Counsel. In 1855 William C Rowe was appointed, by Lord Palmerston, Chief Justice of Ceylon and received the honour of knighthood. To commemorate his elevation to the Chief Justiceship, and to shew the high esteem in which he was held, he was entertained by his fellow-townsmen at a public dinner at the White Hart, where he was received with great enthusiasm on Friday, the 22nd of February, 1856, when Mr Alderman Dingley, then mayor of the borough, presided, and the distinguished guest was warmly congratulated upon his appointment. Some of this ‘surplus’ was used to begin the first hospital at Launceston as the ‘Rowe Dispensary’, which was housed in the old Police Station at the foot of the steps leading to the Southgate Arch. The rooms above the Southgate Arch were, for many years, the town gaol and prison for debtors; the building at the foot of the steps leading to these rooms was the Town Police Station. Next door to the police house was the house of a town doctor (below left), later becoming the practice of Messrs Dr’s Thompson, Gibson & Budd, and between Ching’s Alley and the doctor’s was the Constitutional Club. 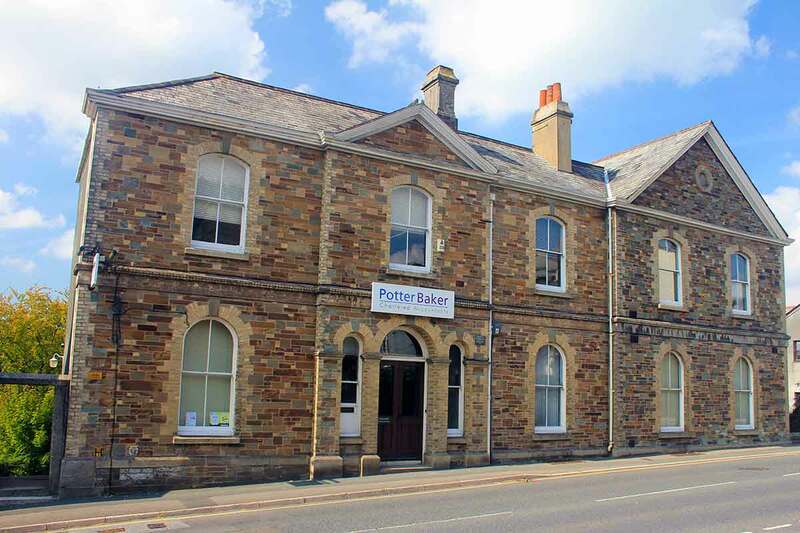 The Town Council, after much consideration, gave over the police house to the use of the dispensary which was opened for business there in 1863. 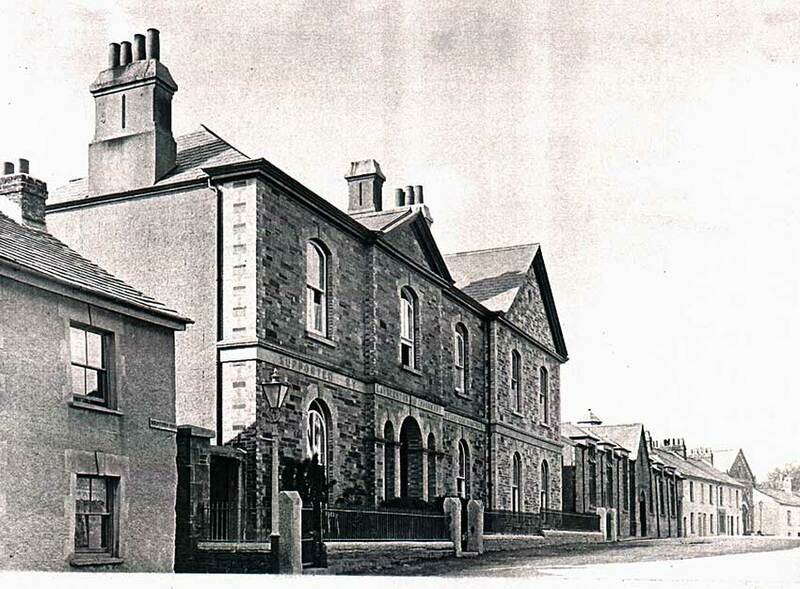 The old ‘cop shop’ was soon found to be too small for the growing town, and in 1863/4 Launceston’s first dedicated hospital was erected in the Western Road. In 1871 it was enlarged at a cost of £1,200. It now contained an operations theatre, a surgical ward, an accident ward, and a new committee room and had 11 patient’s beds. This edifice endured several additions and alterations in the following years, as medical care was improved, and the area grew in population. Above the new Launceston Infirmary and Rowe Dispensary built in 1864 at Western road. Launceston Infirmary and Rowe Dispensary building in 2014. 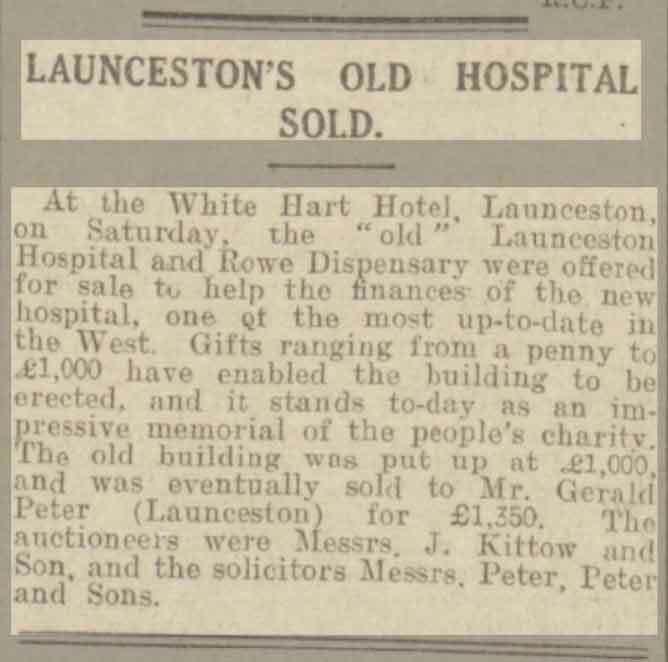 In 1909, at a cost of £1,200., with operating theatre, surgical ward, a new committee room, and containing eleven beds, the new “Rowe Dispensary & Launceston Infirmary” was opened. The operating theatre, very little altered, is a marvel of architectural genius in providing light when little more than oil lamps were available. The ceiling is domed to allow the structure of a very large window facing west for all available light upon the operating table. The woodwork of the doorways is rounded to make the moving of beds from room to room more easy, and the first set of stairs were made wide enough for patients to be easily carried up or down. 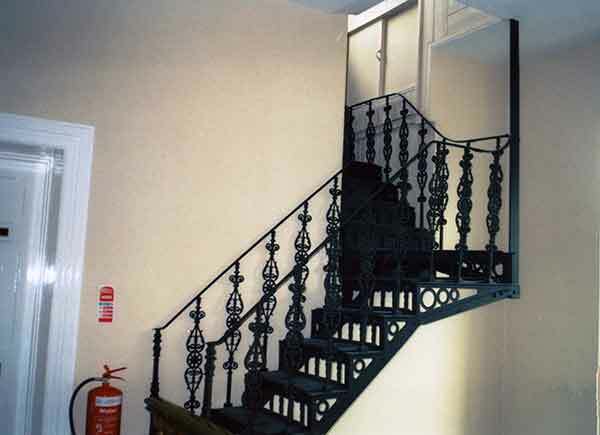 The wrought- iron staircase to the nurses quarters are very picturesque, though much narrower than the first flight. 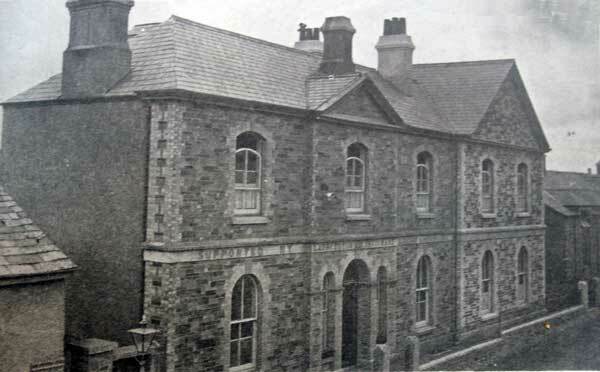 This hospital in WW1, with the help of the war-time hospital for wounded soldiers held in the Town Hall, and afterwards moved to Werrington House at the invitation of Mrs Williams, served Launceston and district for the next twenty eight years, when it was decided in 1934 due to the increasing inadequacies of the Old Infirmary on Western Road the decision was made to build a purpose built Hospital on land donated by Mr. C. H. Gillbard near Badash Farm at the junction of Dunheved road. Mr. C. H. Gillbard, already the donator of over eight acres of land on Windmill hill and a large sum of money to prevent it being a debt to the town, again stepped forward with the gift of land at Longland, at the top of Dunheved Road. At that time Longland was fairly isolated, though so near the town, easily reached by good roads, but quiet enough for the good of the hospitalised requiring peace and quietness. 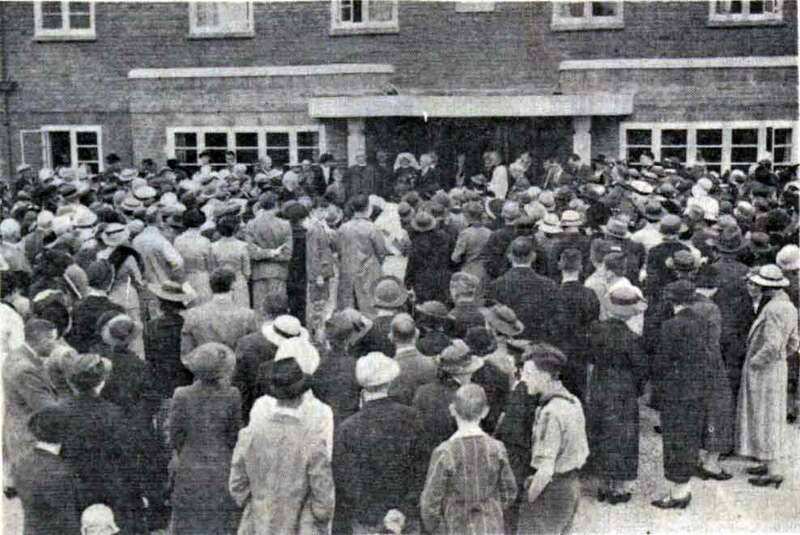 To raise sufficient funds for the building and equipping of a larger hospital bricks were offered for sale to the public for them to donate to the building of the edifice. The public spirited were thanked by the award of a badge for the donation of a certain number of bricks. 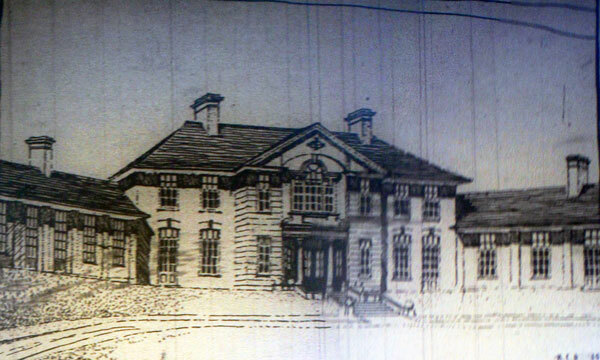 The original plan for Launceston Hospital in 1935. It was to be funded purely by public subscription which, considering the population of the district at the time was of no mean feat. 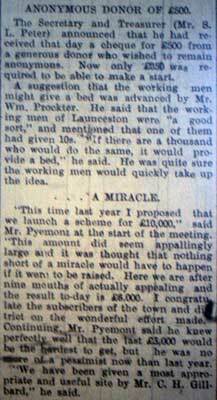 By September of 1935 the fund was still only at £3,847 including a recent contribution of £32 18s. 6d. from the first performance at the new Picture House that had just opened in Market Street. But by with an increased drive a total of £8,483 2s. 3d. had been raised by the time the town council’s employees had started the ground works in January 1937 and by the time that the construction was being opened in August of 1938 a grand total of just over £10,000 had been reached which was a great achievement. The foundation stone was laid by Lt-Commander A M Williams, D SC., RN., of Werrington Park, in brilliant sunshine, on Thursday 29th April, 1937, surrounded by civic dignitaries, members of the clergy and a united surpliced choir, all supported by smartly turned-out uniformed nurses, members of the St John Ambulance Brigade and a large crowd of spectators. 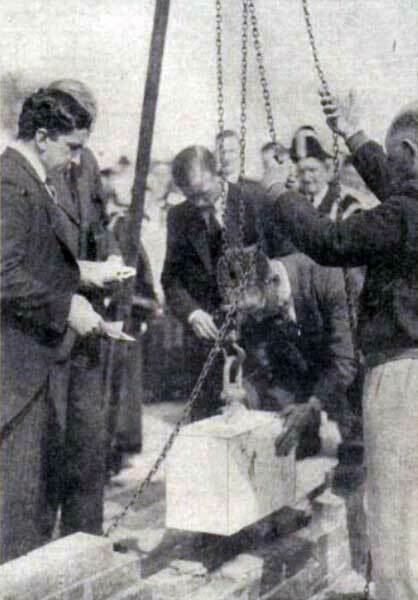 After a number of preliminaries the President of the Hospital, Rev E C H Pymont, MA., asked Mr Williams to lay the foundation stone (below). He was then presented with a mahogany maule and a silver trowel. After further speeches Mr William responded, mentioning he had visited over twenty hospitals in London, and had gone over them from top to bottom, he gave his experience of conditions as he found them. One of the things he had noticed was that some of the worst hospitals in London were old adapted buildings with poor quarters for the domestic and nursing staff. These quarters were one of the most important of a hospital, for the staff had real hard work to do and they deserved to be well looked after and to have decent rooms.owel, both suitably inscribed, to perform the ceremony. Mr Williams congratulated the committee on its work in connection with the new building which had been well and sensibly done. It was not going to be too big for the district, nor to be a menace to any other hospital nearby, for the new hospital in Truro was 50 miles away and the town was about 30 miles from Plymouth. The hospital had been excellently laid out according to the needs of the district. One of the essential factors in the interests of the hospital was to have adequate committees representative of all sections of the community. Wage-earners should be included in these committees and meeting should be held at times when they could attend. The day had gone when they looked on a hospital of that kind as a piece of work for the relatively well-to-do who distributed some sort of philanthropy to the people. That had gone, and a good thing too. The hospital belonged to all of them. 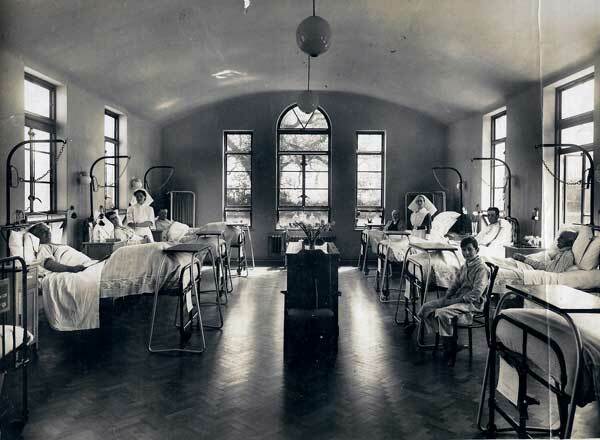 The aim of a hospital was to have modern efficiency and the best of equipment – a hospital where all could go, whether in an emergency or in a prolonged illness, giving patients a chance to go through a crisis with all the best that modern medical science could give them. The total cost of the building and equipment was £14,860. 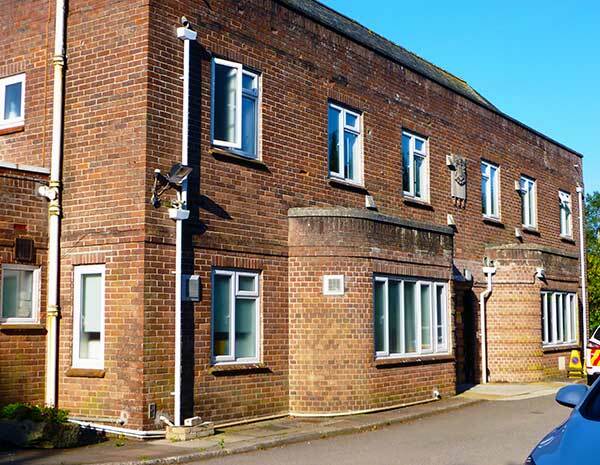 Along with the £10,035 raised the board of management had realised £725 from the sale of the old x-ray apparatus and £1,350 from the sale of the old Hospital bringing the total receipts to £12,110 leaving a manageable deficit of £2,750. 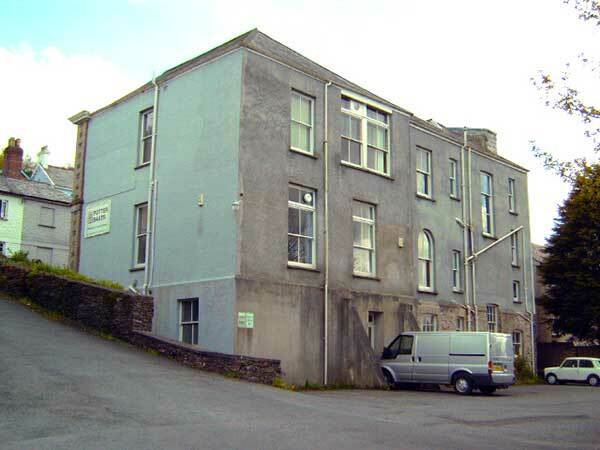 The old hospital building, for many years was used first by Launceston Rural Council and then Cornwall County Council as local offices, before it was purchased by Potter, Baker a local firm of accountants. 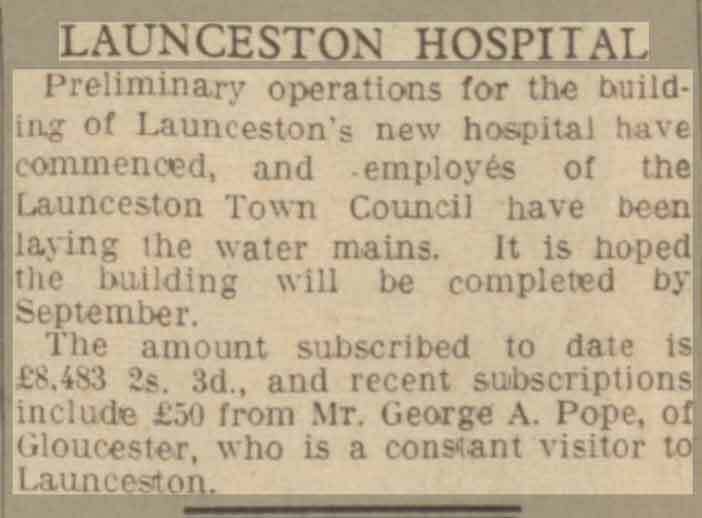 The grand opening of Launceston’s Longlands Hospital by Dr. Gibson on August 20th 1938. 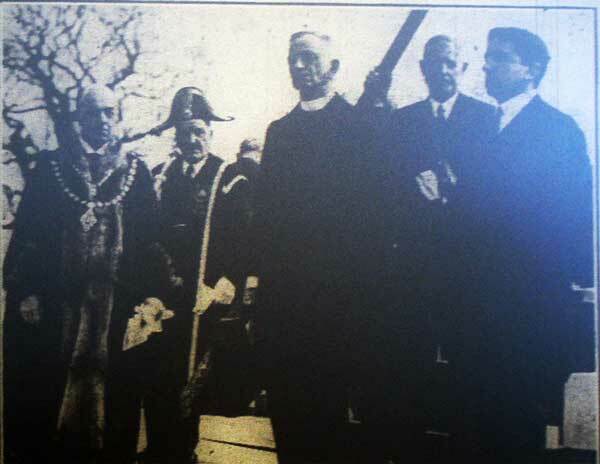 The building was actually in use from January of 1938 but the official opening by Dr. C.G. Gibson (the eldest G.P. In the district) wasn’t held until August of that same year. 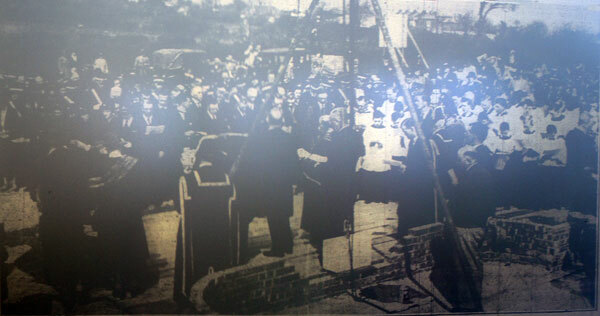 Above is a picture of that opening ceremony which was presided over by the Rev. E. C. H. Pyemont, president of the Hospitals board of management. It was well attended from all parts of the district including members of Launceston’s St. John Ambulance, the Ambulance cadet corps, and Launceston Red cross detachment.